Error! Invalid login, kindly retry. Error! Unable login with Facebook ID, please ensure your FB setting is allow for 3rd party connection. Kindly share your reviews, upload your photo here, & we will approve them after we review it. Maximum Size of a photo would be 2MB ONLY and the allowable image includes *.JPG, *.JPEG, *.PNG. Preffered image dimension would be 1200 pixels x 1200 pixels. If we found the photo is being complained by user because it INFRINGED COPYRIGHT LAWS, On approval process, if we found that it match the above criteria, we deserve the right to reject your uploads. 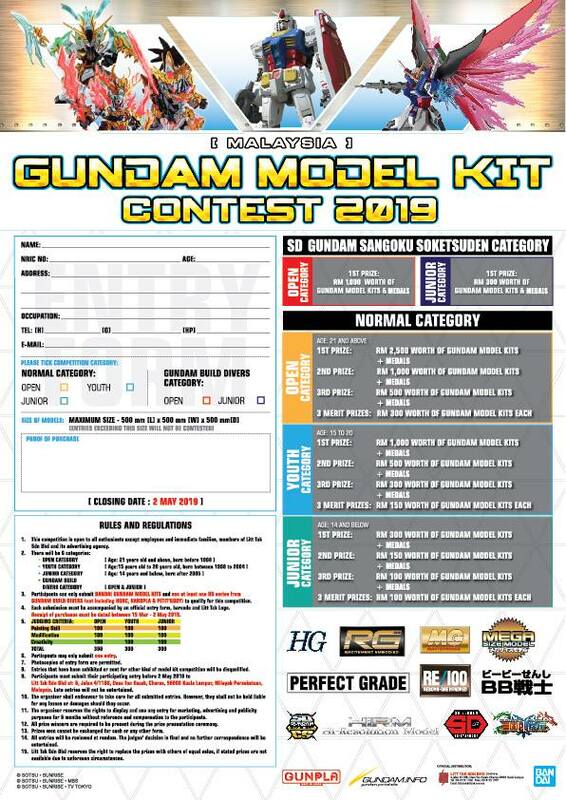 Join the Gunpla Club & Get a Welcome Voucher off your first purchase!